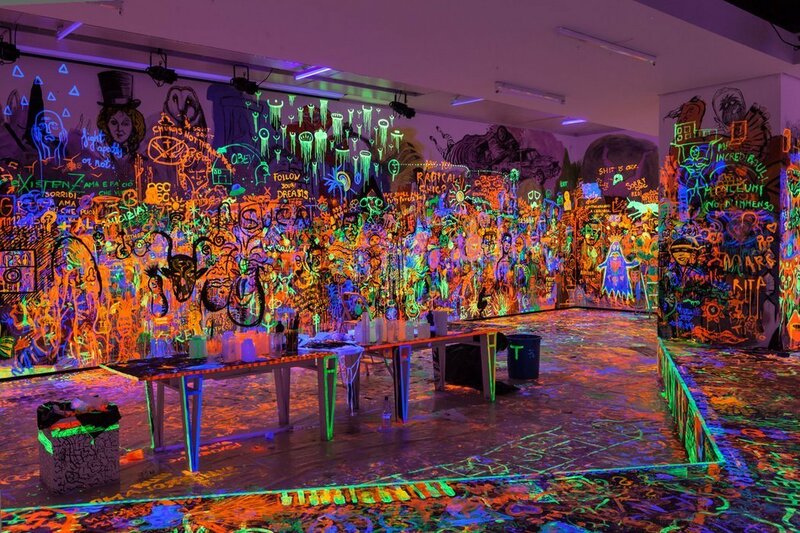 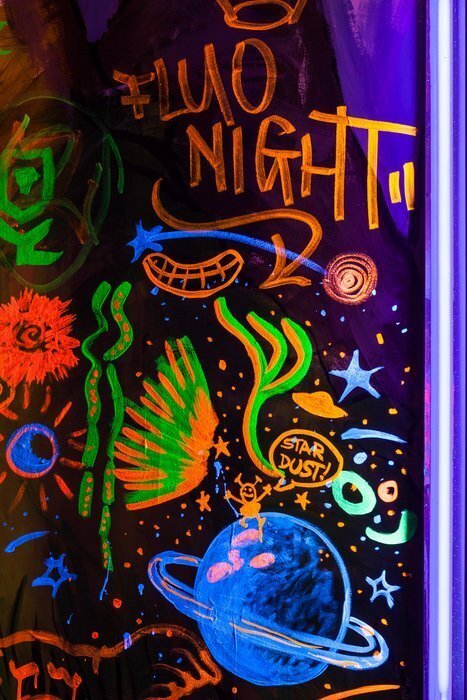 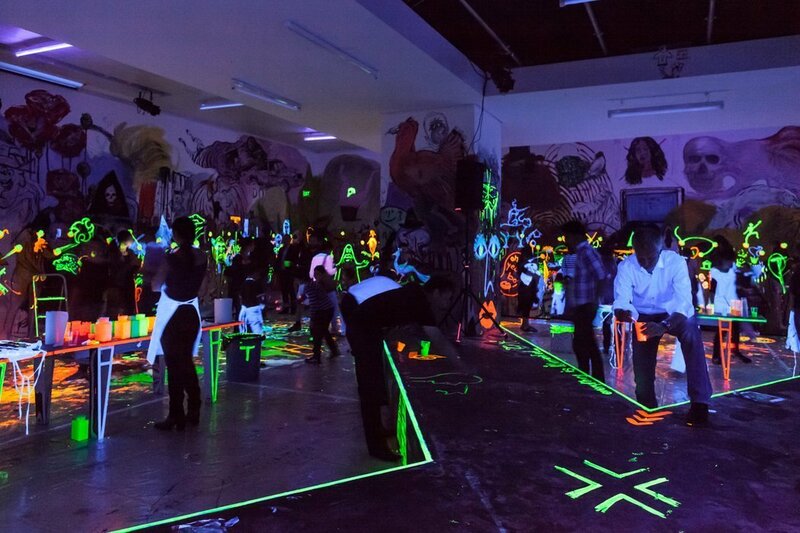 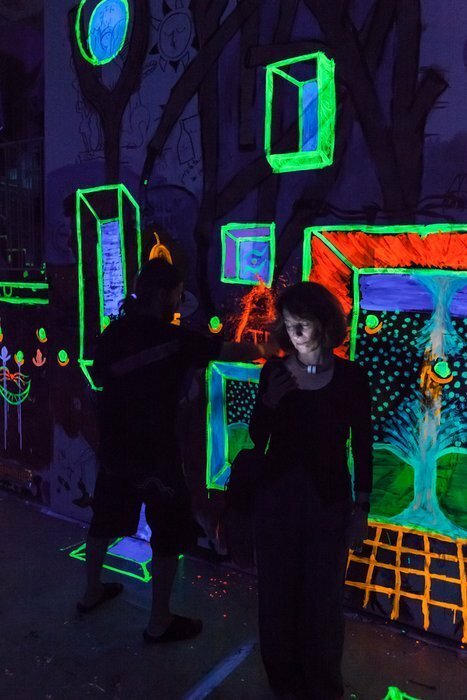 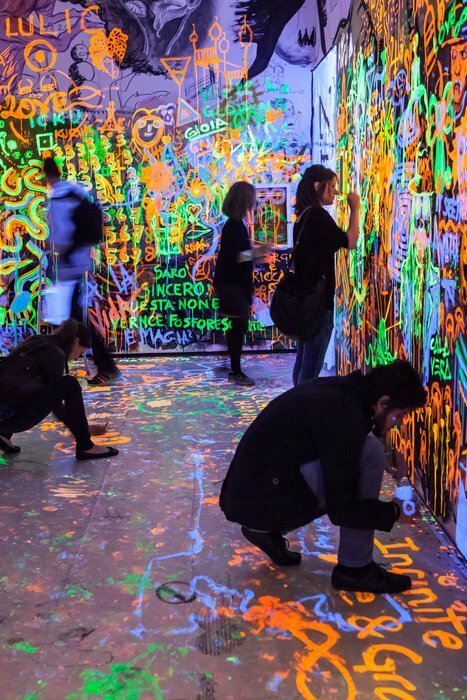 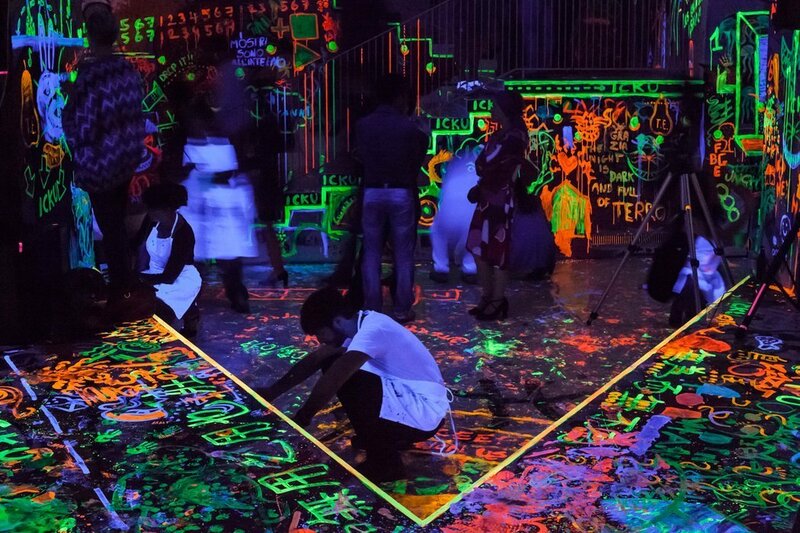 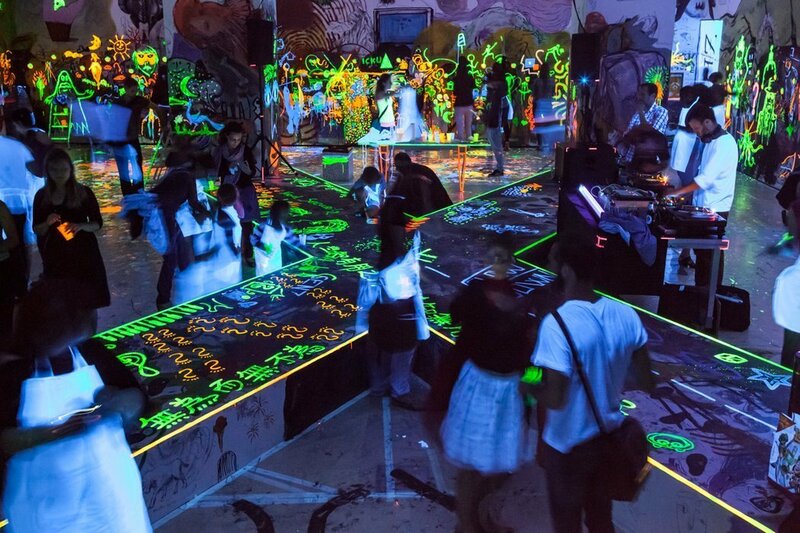 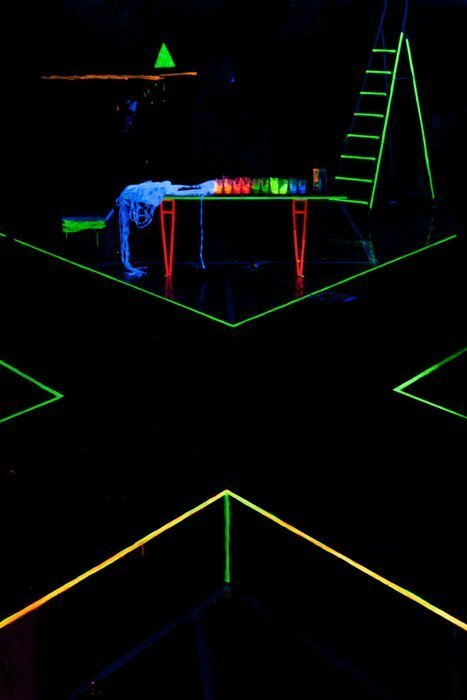 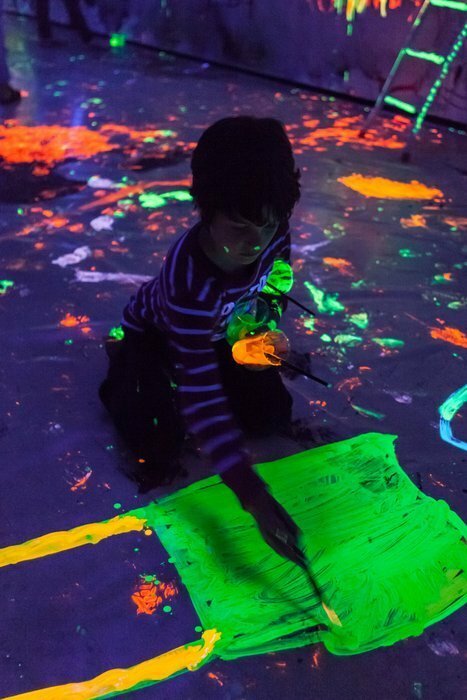 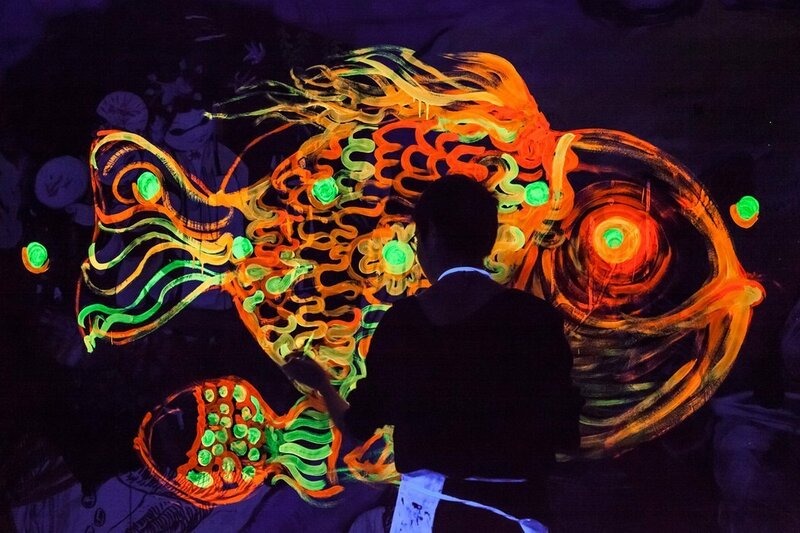 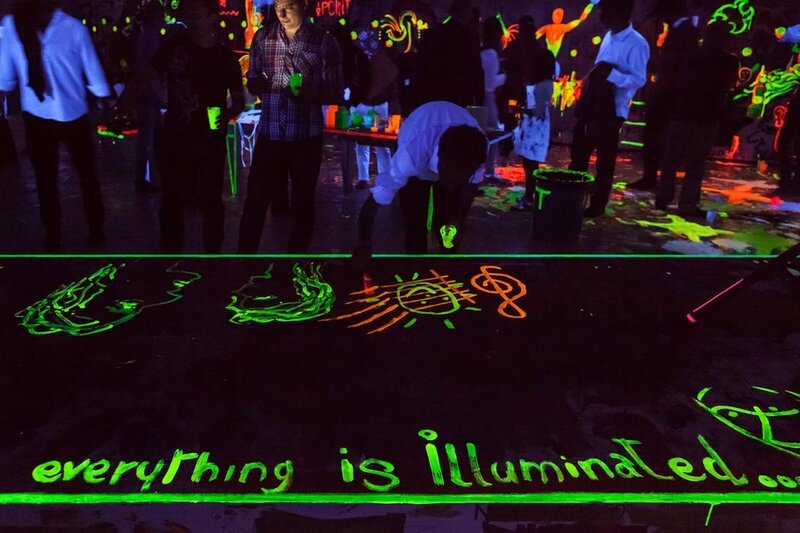 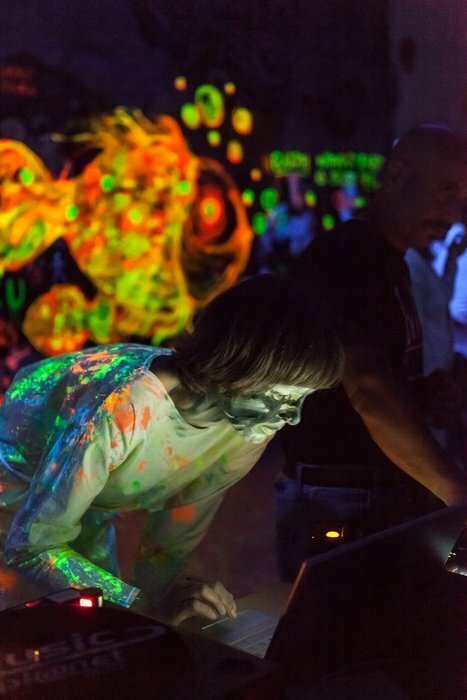 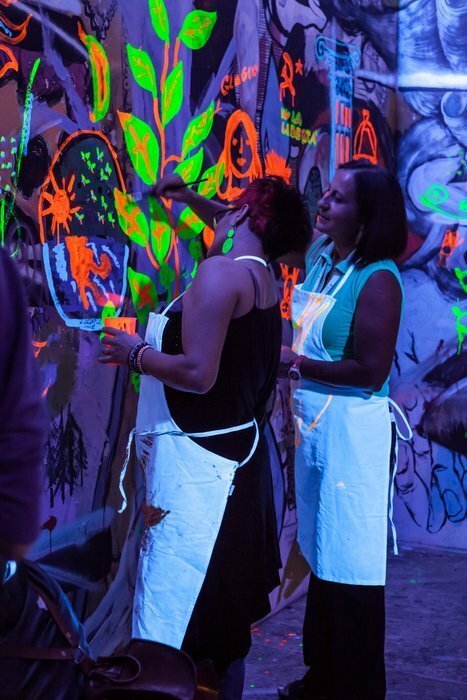 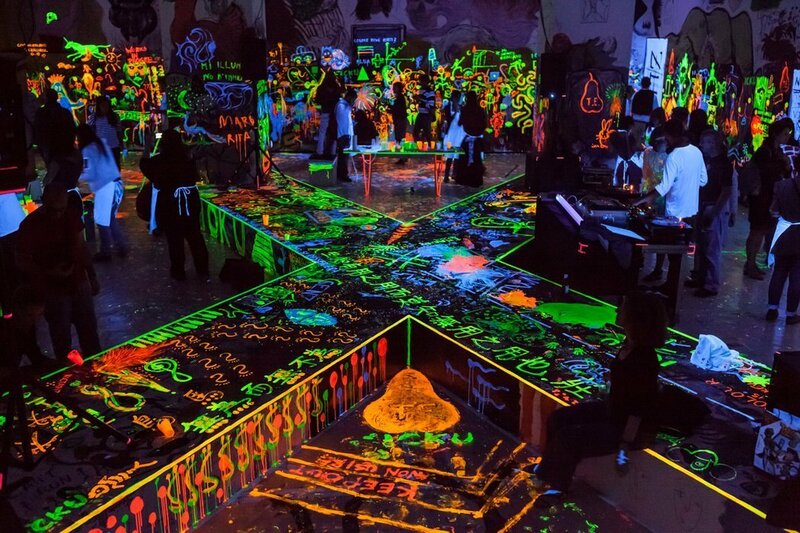 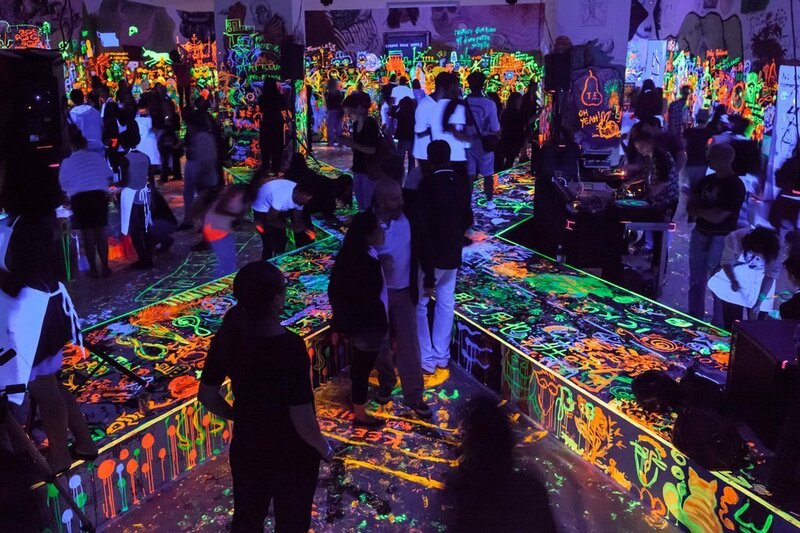 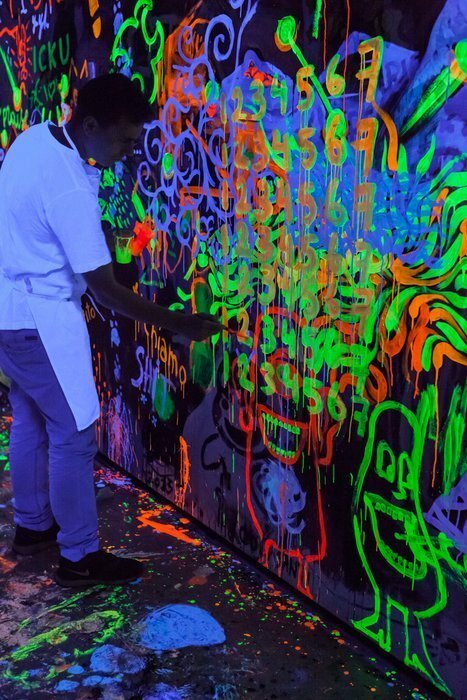 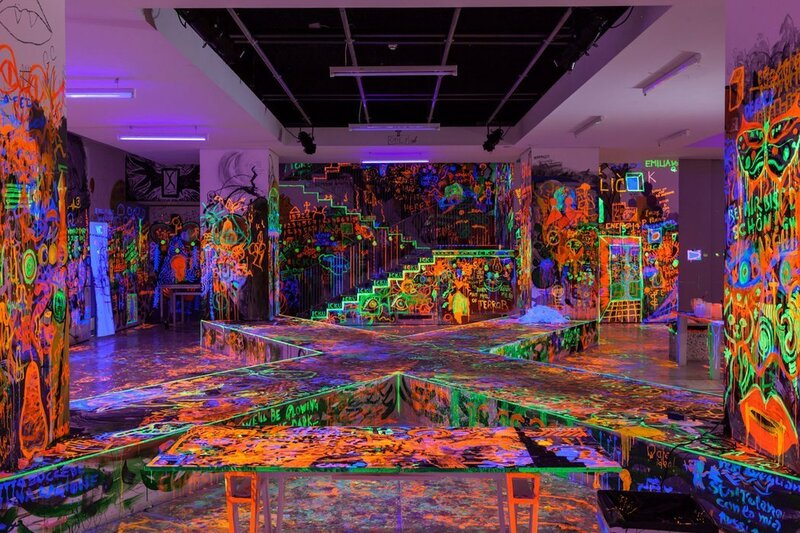 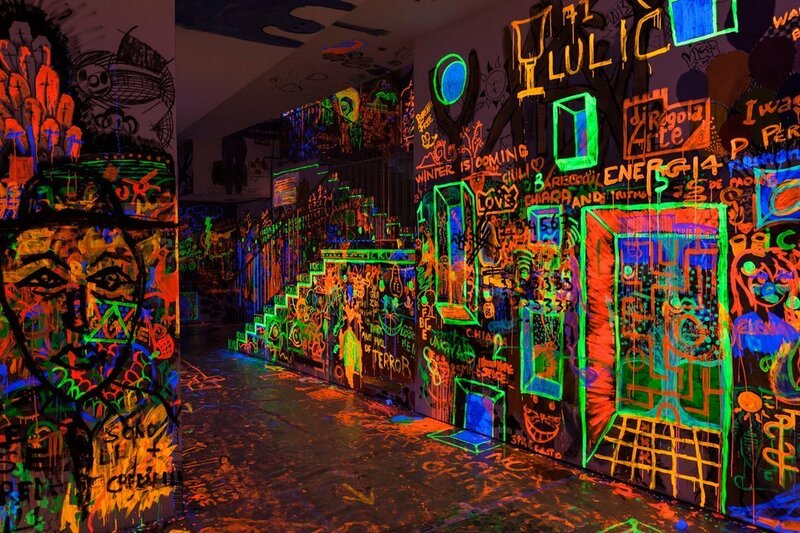 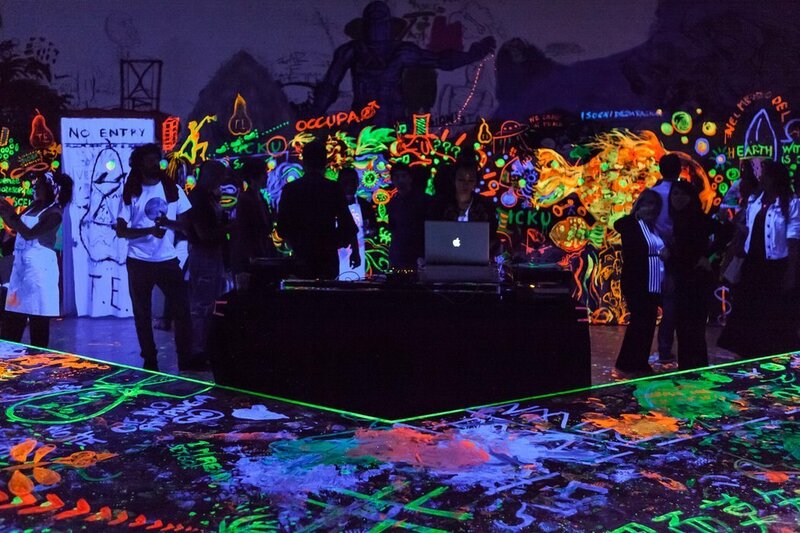 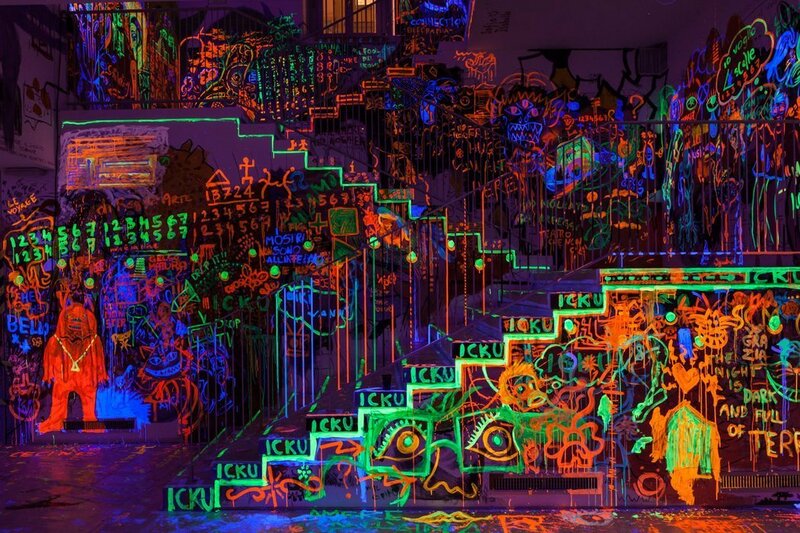 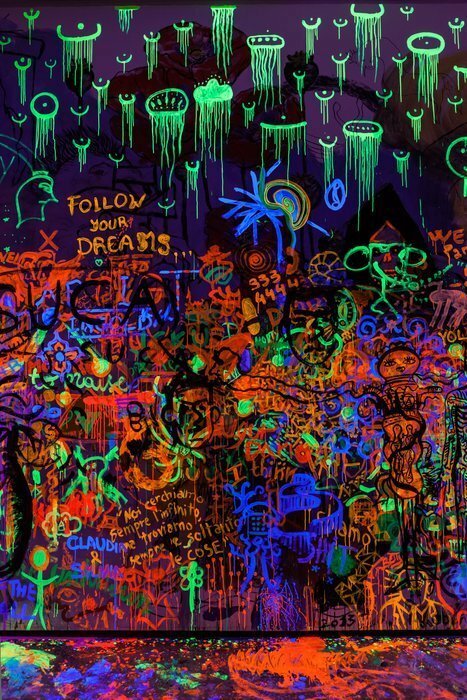 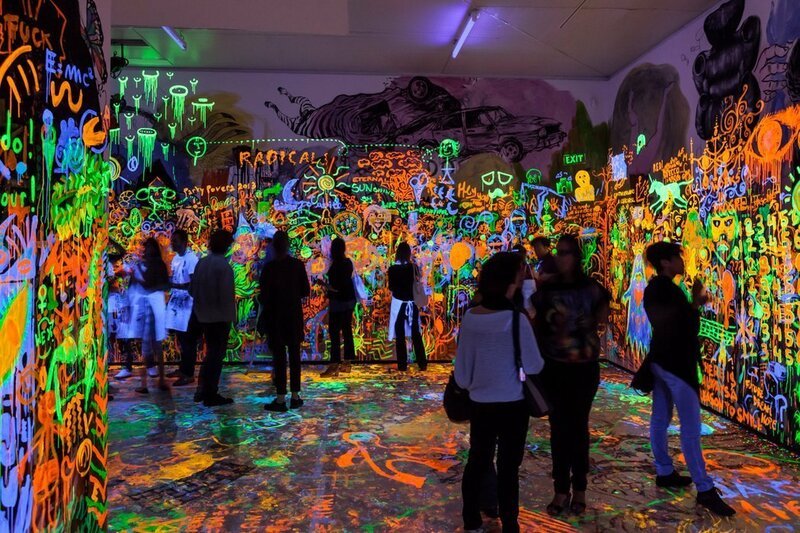 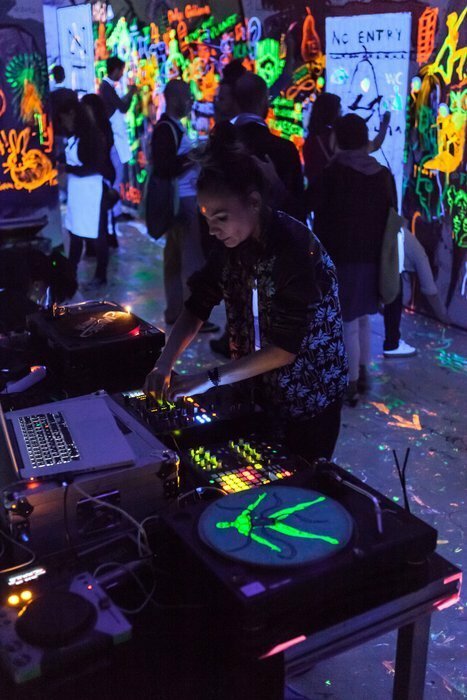 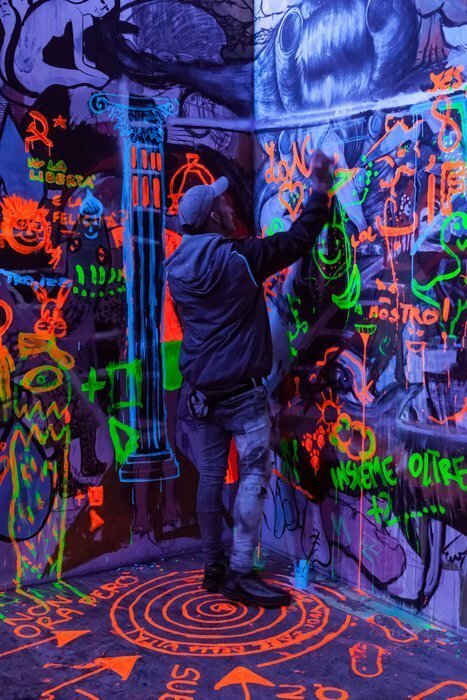 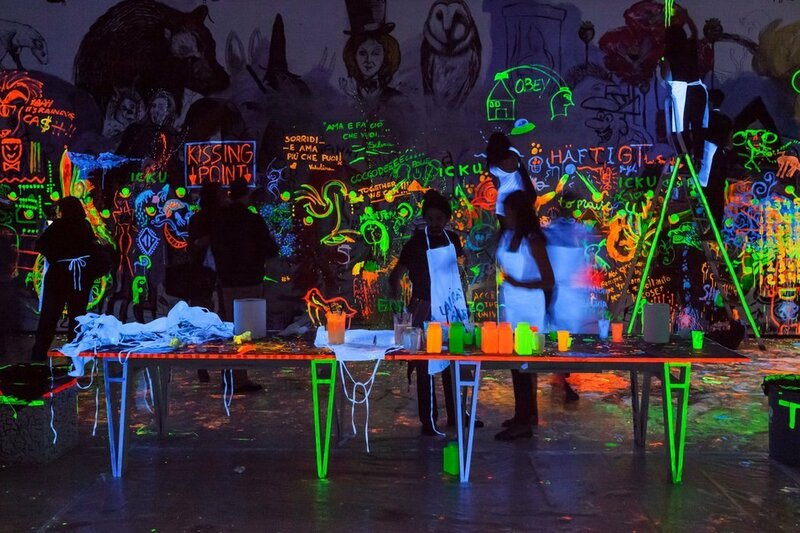 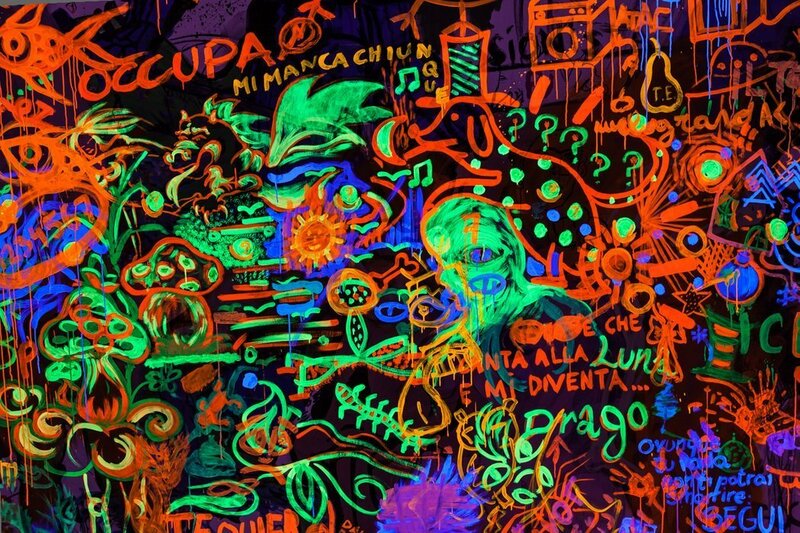 On Friday 28 June, the Second Draftsmen’s Congress will be illuminated by UV lamps, and visitors will be encouraged to paint on the walls using fluo colors: all the participants will have a chance to dialogue with the existing drawings through a new level, added to those accumlated over the last few weeks. 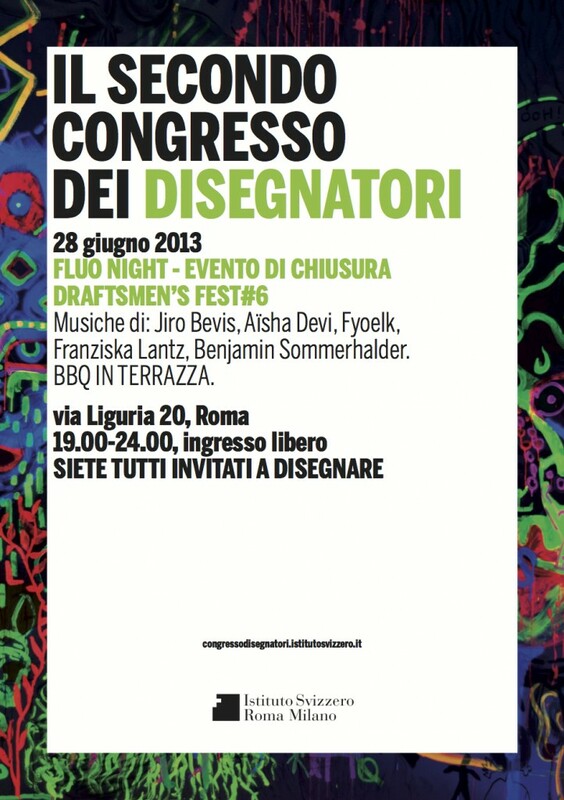 The evening will be enhanced by the musical selections of Draftsmen’s Fest#6. 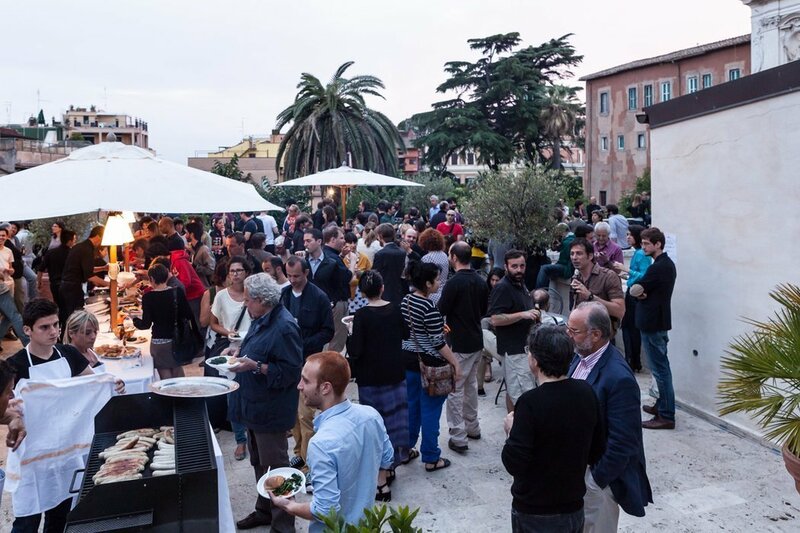 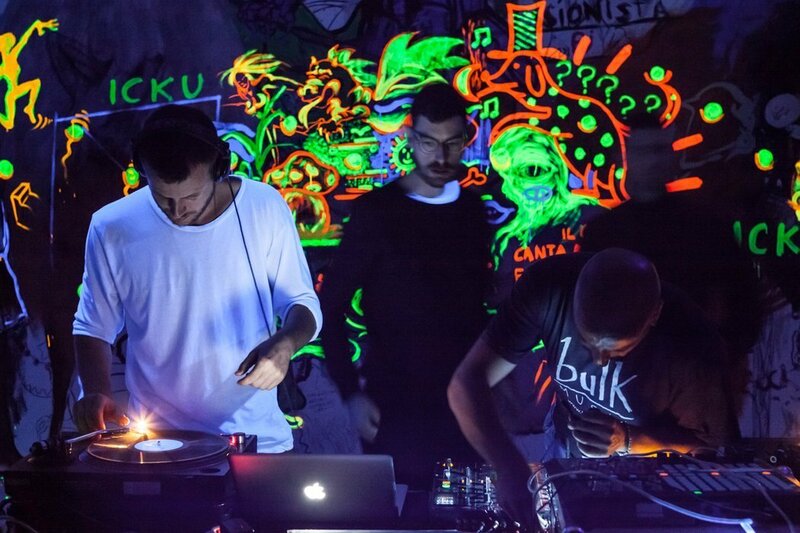 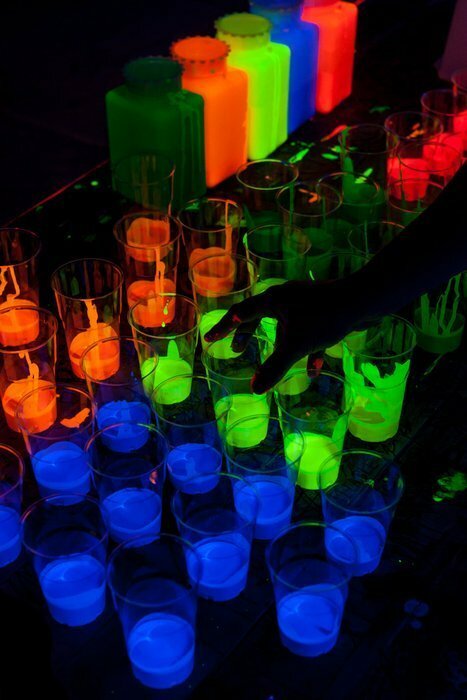 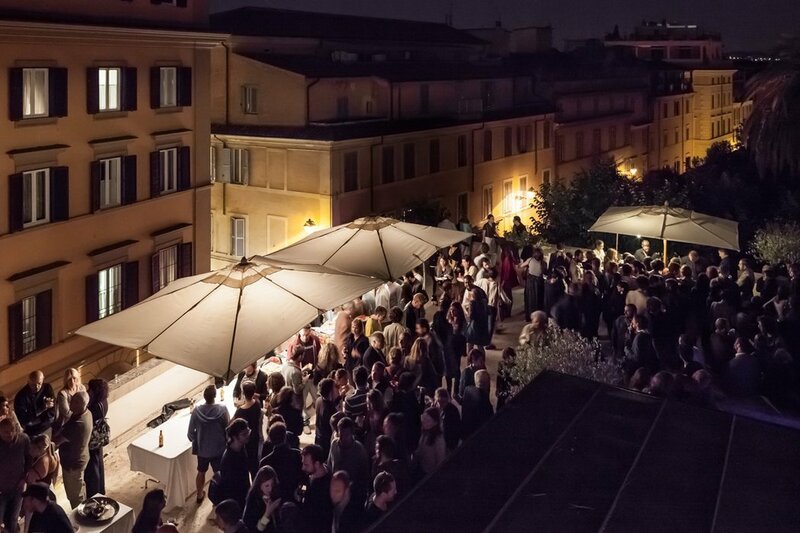 Fluo Night celebrates the conclusion of the Second Draftsmen’s Congress.